In 2001, John Duffy was named Chairman and CEO of Keefe, Bruyette &Woods, Inc., a firm that he has been with for more than 28 years. 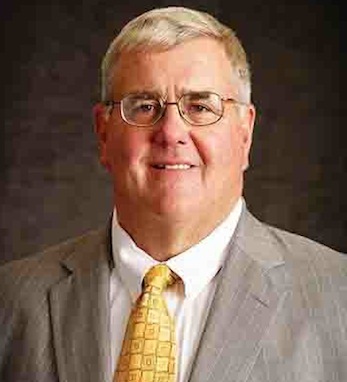 He had served as the President and Co-CEO since July 1999. In the nine years previous, Duffy was the executive vice-president of the Investment Banking Department within the firm. Duffy’s prior employment was with Standard & Poor’s Corporation as vice president. After attending the City College of New York, where he earned his BA in economics, Duffy received his MBA from Bernard Baruch College Graduate Program of the City University of New York. Duffy is active on the board of trustees of the Michael Smurfit Graduate School of Business, University College, Dublin. He also serves as the chairman of the Investment Committee of the Cardinal & Gold Fund of Cardinal Hayes High School, Bronx, New York. In 2006, Duffy gave the keynote address at Irish America’s Wall Street 50 dinner, and was honored by the Ireland Chamber of Commerce in the United States. His mother is from NewTongore, County Leitrim and his father is from Culleens, County Sligo.